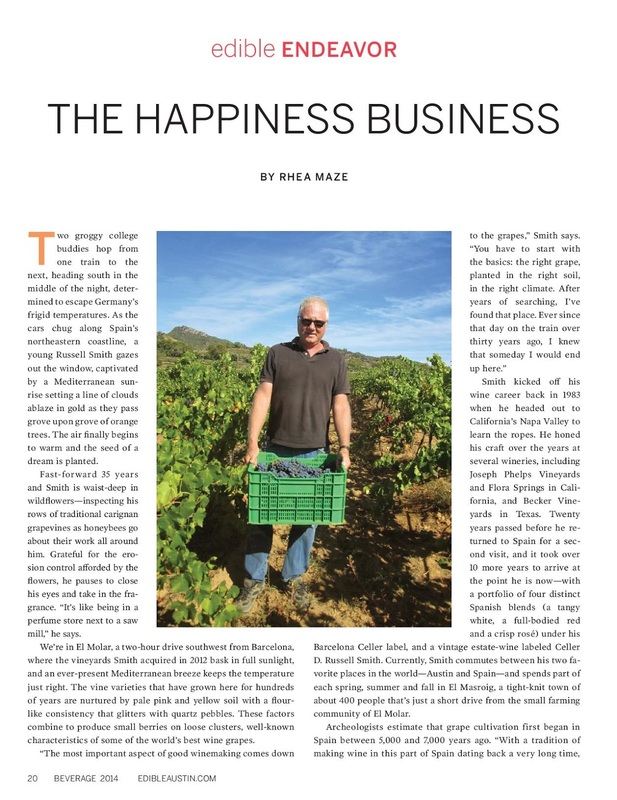 We harvested our estate grapes on September 6 and everything went as planned. I think we were the first to pick carinyena in Montsant. Because of the old vines and the orientation of the vineyard, we are a couple of weeks ahead of everyone else. I didn't irrigate this year since the vines never appeared to be water stressed. Carinyena tends to ripen a little unevenly so it's always a challenge to determine ripeness, especially when dealing with an old vineyard where there is a lot of variability from vine to vine. In addition to looking at the numbers, I watch for the ripeness of the seeds. This year I noticed the seeds were generally brown and we were getting some dehydration in about 10% of the berries. The last sample I took on Sept. 4 showed 25 Brix. We ended up with 24 Brix in the tank and good pH. The yield this year was 4750 kilos or 5.22 American tons off the five acres. This is the best we've done so far and I'm very pleased with the quality. We took the fruit to La Figuera and it's now fermenting in two 3000 liter tanks. I'm pumping over once a day and the color is fabulous! This is my 31st harvest. It's a little hard to believe. We picked the garnatxa from the vineyard near Marça on Monday, September 16th. This is a sweet little one hectare vineyard planted on decomposed slate. It's the same one we picked last year and I was thrilled with the quality of the wine. This year looks just as good. Because of the wet spring, harvest this year has been pushed back by about two weeks. As you may notice if you look at last years pictures, the vines have more vigor this year because of the rain. We harvested Fincas Alta y Vieja yesterday. There was a little rain on Thursday and they were predicting more yesterday. It was mostly scattered showers on Thursday and we got just enough to settle the dust in El Molar. Pere brought a big crew (13) to start around noon and they finished Finca Alta in about an hour and a half. Six people stayed after lunch to work on Finca Vieja since the winery couldn't start processing the fruit until 6:30. The work went well and we were about 90% done when a big thunderstorm appeared on the horizon and seemed to be headed right at us. As it drew closer, everyone was picking like crazy. Pere jumped in his truck and drove around the corner to talk to Arkady, the local bar owner. Arkady has a big house and barn next to the bar. He agreed to let us park the grapes in his barn. Pere went back to get the grapes while I helped Arkady open the doors. Pere roared into the barn with his tractor and the grapes just as the blessed bottom fell out. It was what my grandfather used to call a "Texas Toad-Strangler". There was a lot of laughter and back-slapping in the bar while we drank beer and watched the storm pass. 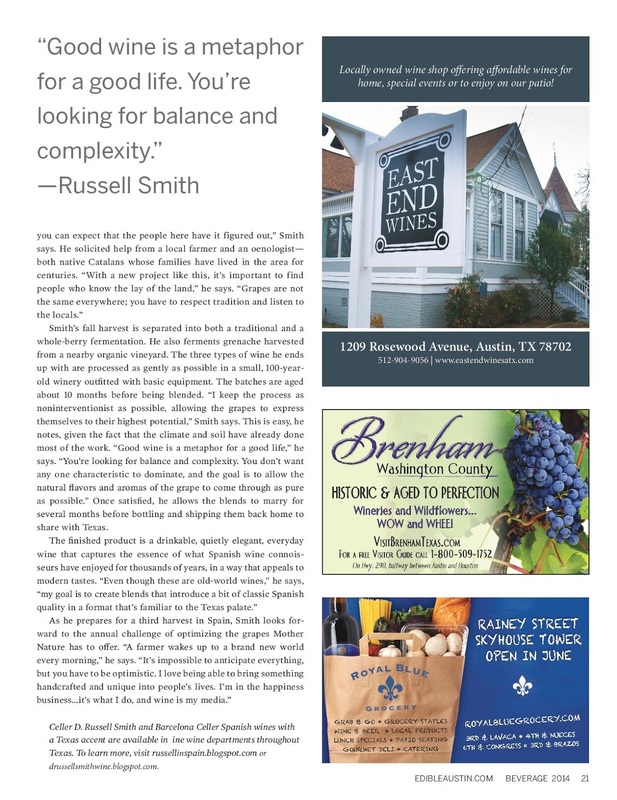 Welcome to the first vintage of Celler D. Russell Smith! I fulfilled a life-long dream last year and bought two small vineyards in the Montsant region of Spain. They are located next to the village of El Molar in the province of Catalunya. One (Finca Alta) was planted in 1975 and the other (Finca Vieja) was planted somewhere around 1952. Both vineyards are planted to Carignan although we are required by the D.O. Montsant to call the grapes Samsó on the label. The vineyards are near the top of a mountain and enjoy full sunlight all day. The soils are calcareous with some decomposed slate. There are numerous pebbles of quartz and the occasional galet present. The soil ranges from pale yellow to pale pink and reflects the abundant sunlight well. This allows the soil to cool down after sunset which contributes to maintaining good acidity in the fruit. We are only twenty miles from the Mediterranean and get a steady breeze almost all the time. There is a cool wind from the sea most of the day while a warmer, drier wind from the north prevails at night. The combination of soil, elevation and climate make this area an agricultural paradise. It's perfect for wine grapes. The vintage of 2012 was the warmest and driest in thirty years. We irrigated twice to keep the vines healthy. The five acres of vines only yielded about four tons of grapes. This is to be expected from old vines. The berries are very small and the clusters are loose. These factors contribute to making the best wine. We employ sustainable agricultural practices in the vineyards. I also have a long-term agreement with a Grenache vineyard near the village of Marça. This vineyard is organically farmed and the fruit is superb. 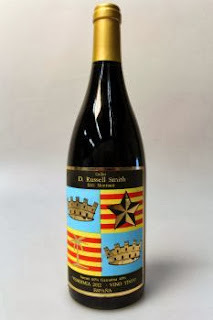 My goal is to make wine from traditional varieties and showcase the unique character of Montsant. 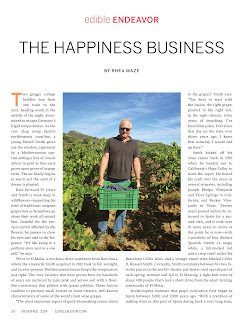 In 2012, we harvested the Grenache on September 3 and the Carignan on September 19. The weather was spectacular both days and we had no trouble hand-picking the grapes. The Grenache and Carignan were fermented separately and blended in March of 2013. Thirty percent of the wine was aged in new French and American barrels. Thank you for visiting our website and we welcome you to leave a comment.